Legendary 4X4 off-road capability, rugged body-on-frame construction, and proven V6 engine performance combine to produce a ride that’s tough enough for the trails yet smooth enough for the city. The iconic Toyota 4Runner helps you carry your biggest toys along for your weekend adventure with a 5,000-pound maximum towing capacity (when properly equipped). Helping your crew reach the campsite in total comfort and style, the interior of the 4Runner is both spacious and well-appointed. Since every journey has its own unique demands, an optional sliding rear cargo deck gives you quick access to your gear. You’ll be able to bring tech to every outing with the optional Entune™ Premium Audio system with Integrated Navigation and App Suite. Whether you’re headed downtown or across the country, you can trust the Toyota 4Runner to tackle any obstacle that stands between you and a memorable weekend. Only minor tweaks have been made to the Toyota 4Runner lineup for the 2019 model year. A new Limited Nightshade Edition joins the model lineup and features unique black interior accents, exterior mirrors, roof rails, side rocker panels, door handles, badging, and 20-inch alloy wheels. TRD Pro models also get new enhancements such as FOX shocks, revised roof rack, skid plate, and LED fog lamps. Every trim level of the Toyota 4Runner features its own distinctive look. 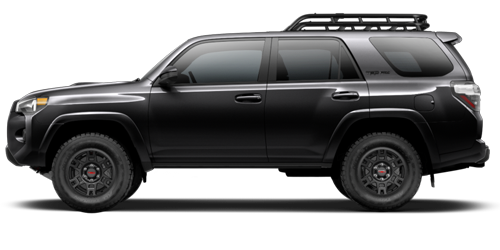 TRD Off-Road trims stand out with unique features including 17-inch 7-spoke alloy wheels with black painted inserts and TRD badging on the exterior. 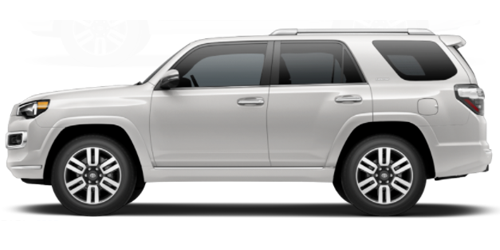 Perfect for drivers craving additional refinement, 4Runner Limited models feature exclusive front fascia, chrome door handles and front grille, and stylish 20-inch split 6-spoke alloy wheels. 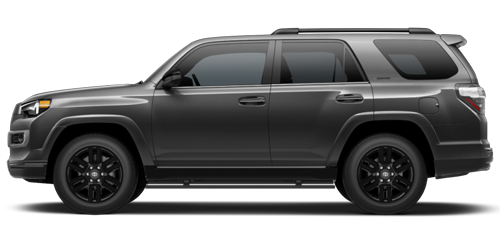 Complementing the rugged design of the 4Runner, Projector-beam headlights and LED taillights add a touch of style while giving you superior visibility. On all 4X4 models, skid plates help protect the engine/front suspension, fuel tank, and transfer case from damage when traveling across rough terrain. 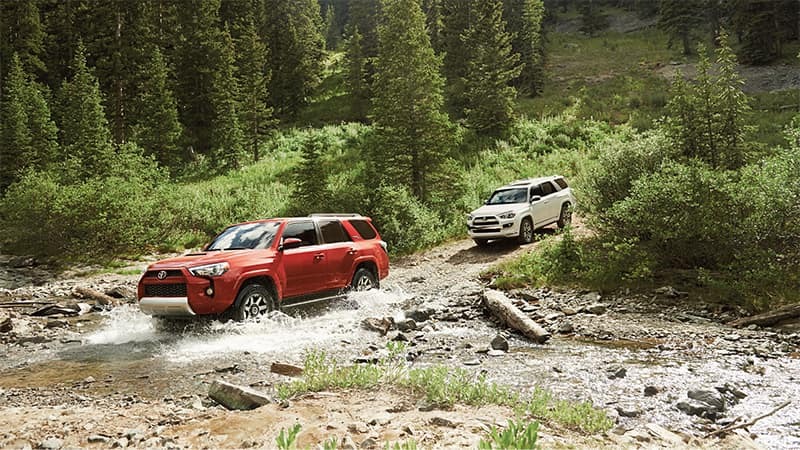 Even the most inhospitable terrain is no match for the Toyota 4Runner. 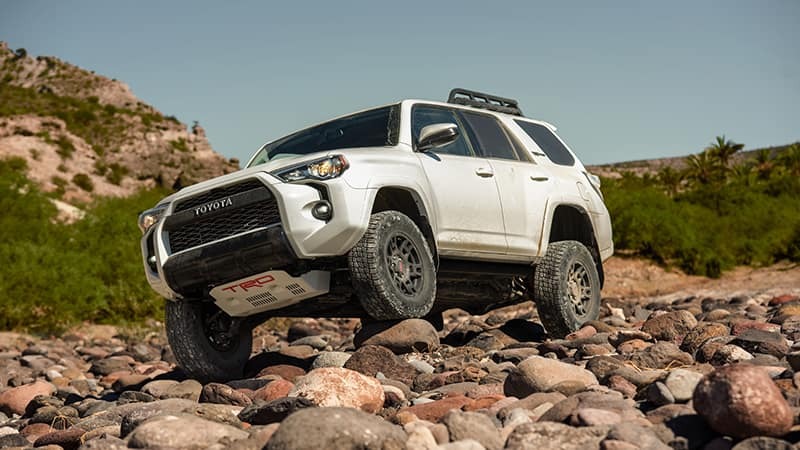 An approach angle of 33 degrees, a departure angle of 26 degrees, and a massive 9.6 inches of ground clearance on the 4Runner TRD Off-Road means that you’ll always be prepared for whatever obstacle stands in your way. Available Multi-terrain Select lets you choose from four individual modes which can regulate wheelspin and brake pressure for maximized traction in all sorts of off-road situations. The optional Kinetic Dynamic Suspension System (KDSS) and Crawl Control (CRAWL) give you improved stability in low-speed, technical maneuvers on the trails. 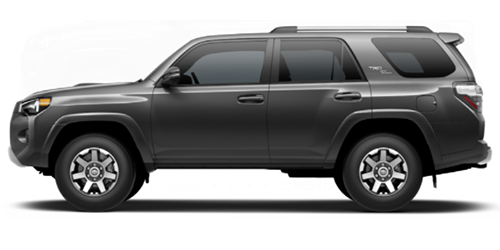 Although the 4Runner offers a commanding exterior appearance, the interior is packed with exceptional refinement with features like optional SofTex® or perforated leather seating. 40/20/40 fold-flat second-row seats help create up to 88.8 cubic feet of storage space or to help you carry a mix of cargo and passengers. 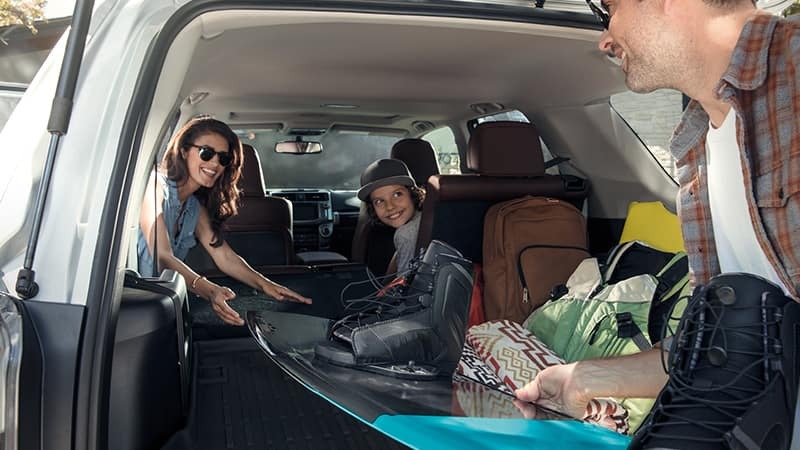 A class-exclusive feature, the power rear window of the 4Runner lowers for quick access to the cargo area or to help bring fresh air into the cabin. Conveniently located in the cargo area, a 120V AC power outlet lets you keep all of your electronic devices charged up. 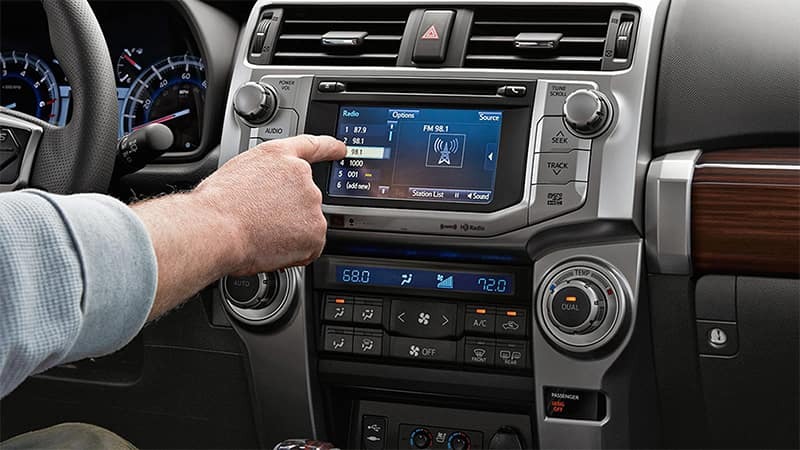 The 4Runner also includes an intuitive and user-friendly instrument panel design which places controls and gauges right at your fingertips. With the available Smart Key in your pocket or purse, the interior of the Toyota 4Runner Limited automatically illuminates, the doors and rear liftgate open with the touch of a handle, and the engine stands with the press of a button. Since every trip should have the soundtrack to match it, the available 15-Speaker JBL® Audio System lets you enjoy your favorite tunes with outstanding clarity and depth. Available Entune™ Premium Audio with Integrated Navigation and App Suite provides turn-by-turn directions in addition to your favorite apps including Facebook Places, iHeartRadio, Yelp®, and Pandora®. 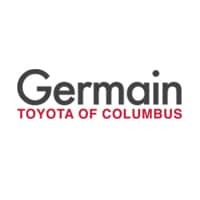 *MSRP includes the Delivery, Processing, and Handling Fee of $930 for Cars (Yaris LB, Yaris Sedan, 86, Corolla, Corolla HB, Camry, Camry HV, Prius LB, Prius c, Prius Prime, Mirai, Avalon, Avalon HV), $1,095 for Small/Medium Trucks, SUVs and Van (C-HR, RAV4, RAV4 HV, Highlander, Highlander HV, 4Runner, Sienna, Tacoma), $1,295 for Large SUVs (Sequoia, Land Cruiser), and $1,495 for Large Truck (Tundra). (Historically, vehicle manufacturers and distributors have charged a separate fee for processing, handling and delivering vehicles to dealerships. Toyota’s charge for these services is called the “Delivery, Processing and Handling Fee” and is based on the value of the processing, handling and delivery services Toyota provides as well as Toyota’s overall pricing structure. Toyota may make a profit on the Delivery, Processing and Handling Fee.) Excludes taxes, license, title and available or regionally related equipment. The Delivery, Processing and Handling Fee in AL, AR, FL, GA, LA, MS, NC, OK, SC, and TX will be higher. The published prices do not apply to Puerto Rico and the U.S. Virgin Islands. Actual dealer price will vary.